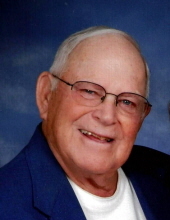 Billy Don Hollowell age 80, of Lone Oak passed away at 7:31 p.m. Sunday, December 2, 2018 at Mercy Health Lourdes. Billy Don was a member of Lone Oak Church of Christ. He was a graduate of Lone Oak High School in class of 1956 and a graduate of Murray State University. Billy Don was retired from USEC and formerly worked at Modine. He was avid golfer at Rolling Hills Country Club and loved Kentucky Wildcat Basketball and had opportunity to attend many SEC Tournaments. He enjoyed his winter trips to Florida and playing golf with his friends. Surviving are his wife of 62 years Annita Kelly Hollowell; one son, Kelly Don Hollowell of Tullahoma, TN; one daughter, Nancy Carol (Tony) Williams of Paducah; one sister, Martha (Harold) Rogers of Lone Oak; seven grandchildren, Casey (Jason) Wallace, Michelle Williams, Dr. Shane (Whitney) Williams, Crissy (Michial) Courtney, Kurt (Libby) Bell, Kinsey (Jeremy) Powers, Zane Hollowell; adopted grandchildren, Sarah (Matt) McCauley and Emily Burton; 19 great grandchildren; sister-in-law, Nancy Kelly Clark, Nashville, TN; best golfing buddy/nephew, JB (Priscilla) Hollowell; several nieces and nephews. Preceding in death were parents, Egbert & Evelyn Boyette Hollowell; three sisters, Grace Lewis, Margaret Brase, Ruth Nelson; three brothers, Wesson, James and G.W. Hollowell; one brother-in-law, Mike Clark. Services will be held at 11:00 a.m. Wednesday, December 5, 2018 at the Lone Oak Church of Christ with Paul Wingfield and Jamey Boone officiating. Visitation will be held from 4:00-8:00 p.m. Tuesday at the Lone Oak Chapel of Milner & Orr Funeral Home and after 9:00 a.m. Wednesday at the church. Expression of sympathy may be made to the Lone Oak Church of Christ Family Life Center, 2960 Lone Oak Road, Paducah, KY 42003.